Join us each month to learn a new embroidery technique. No machine necessary as this is a lecture/demo style class. In this month's OESD School of Embroidery we learn how to create this unique zipper pouch made completely in the hoop. Stitch the zipper, piece the pouch, and quilt it all with your embroidery machine. 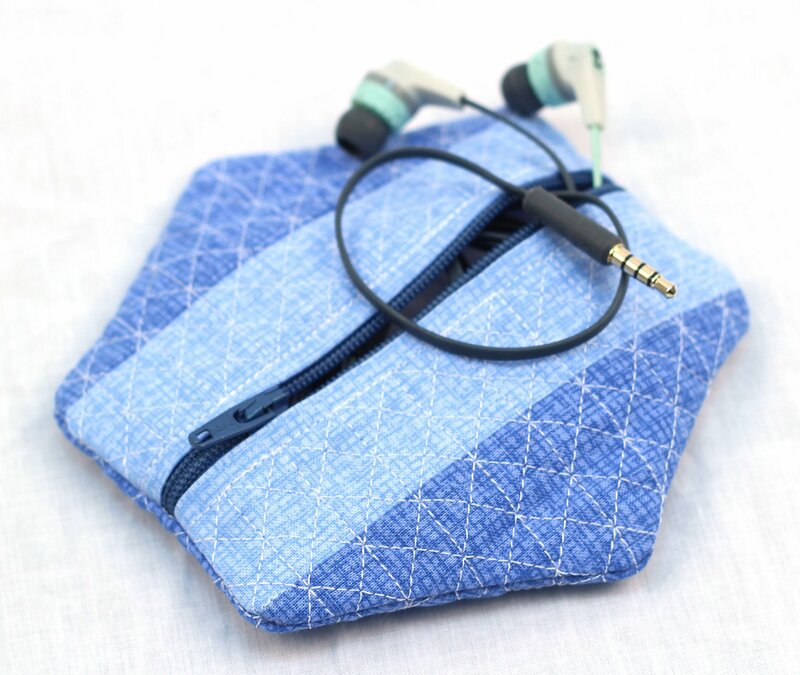 This stylish hexie-shaped patchwork zipper pouch is the perfect size to store your earbuds, phone chargers and more. This class is not machine specific so all embroidery machine owners are welcome!